Want to have your baby at home? Or by scheduled C-section? Most women opt for something in between. Here are 7 childbirth options to help you decide. It may be your body and your baby, but how you choose to deliver that child seems to be everybody else's concern. Try walking into a maternity store filled with women trying on stretch-panel jeans and say loudly, "So, I'm really excited about doing a home birth. We're even renting a birthing pool!" People will stop dead in their tracks. Some will roll their eyes. A few may even whisper loud enough for you to hear, "Is she crazy?" Or, log on to a message board for moms-to-be and type in a question like: "What do you think about scheduling an elective C-section? I really don't see the need to go through a painful vaginal delivery when there is a perfectly safe alternative." Then sit back and enjoy the fireworks. Our childbirth choices are largely unconscious, dictated by our history with doctors and pain, our trust or skepticism of science and technology, the influence of others, our need to control versus our ability to let go, and much more. As all these factors come together, we choose our place on what I call the Childbirth Choices Continuum. The options in the middle are the most mainstream, acceptable choices in America today. Those out on the far ends are the most harshly criticized—by experts, by the press and, mostly, by other women. They're also the least understood, largely because women are afraid to talk about them. In writing Deliver This! Make the Childbirth Choice That's Right for You . . . No Matter What Everyone Thinks, I talked to more than 100 women who gave birth every which way; some are quoted here. In the process, I came up with seven destination points along the birthing-choices spectrum. Reading about them can help you make a decision you feel truly confident about. Let's hope it will also help halt the judgment and the eye-rolling, and silence that sense of disapproval that injects so much negativity into what should be a supportive community of new moms. On one far end of the Childbirth Choices Continuum are women who wish to exert the most control over their experience and the least control over their own physiology by giving birth at home. On the other end are women who choose a scheduled C-section; they value medical intervention the most and personal control over their birthing environment the least. Being informed about these options and all the ones in between can also help you feel prepared if your best-laid plans fall by the wayside during labor. (This happens a lot, and it's why you shouldn't feel "married" to any birth plan.) For more on choosing what's best for you, see "10 Tips for the Most Satisfying Birth Possible." "We just assumed that everything would go right and focused on having faith in ourselves and in the process. I knew if something went wrong, I was definitely going to go to the hospital, but I trusted my midwife to know when it was time." —Caitlin, A yoga teacher and mother of one in Brooklyn, N.Y.
Who chooses it: Women who want to deliver in the most old-fashioned, low-tech way possible. These women share a fundamental optimism about childbirth, a belief that it is a normal, healthy process rather than a condition that needs to be managed by hospital protocols. What you get: The luxury of writing your own rules for your labor, birth and surroundings, and delivering in the most familiar, comfortable environment possible—your own home. What you give up: The comfort of knowing that a potentially lifesaving operating room or neonatal intensive-care unit (NICU) is just an elevator ride away. 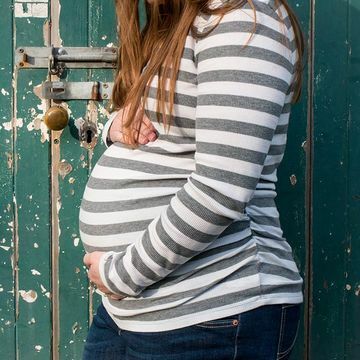 What you need to know: Studies show that if you are healthy and have had good prenatal care and your pregnancy is considered full-term and low-risk, a home birth is as safe as a hospital delivery and leads to fewer interventions. If you are pregnant with multiples or with a baby in the breech position, have had a previous C-section or experienced medical problems such as diabetes or preeclampsia, it's safer to deliver in a hospital. Who chooses it: Women who want to deliver naturally with a midwife, without interventions, but don't want a home birth. The "best of both worlds" option. What you get: A more relaxed, homelike atmosphere than a hospital, yet closer physically and emotionally to the safety net of a hospital. What you give up: While an independent (freestanding) birthing center is more "mom-centric" than a hospital, protocols must still be followed. Some centers have MDs on staff as medical directors, but care is generally provided by midwives. Medical interventions such as epidurals are unavailable, and you are sent home a few hours after delivery. What you need to know: A freestanding center should be accredited by the American Association of Birth Centers. Only the lowest-risk pregnancies are welcome. You will need to meet several strict requirements; if you "risk out" at any point or have prolonged labor, you will be transferred to a nearby hospital. "The most important thing for me was to have a midwife because I wanted a holistic approach to childbirth, but I still liked the idea of being in a medical setting in case something went wrong." —Dawn, a public relations director and mother of two in Oak Park, Ill.
"When I checked into the hospital, I had to spend a mandatory one hour on the monitor before I could be moved to the birth center, and I didn't like it at all. I was itchy and uncomfortable, and all I wanted to do was walk around." —Jennie, a literary agent and mother of two in North Salem, N.Y.
Who chooses it: Women who prefer the low-tech, handson, low-intervention, drug-free philosophy of a midwife but do not want to deliver in any place other than a hospital. Giving birth with a midwife at an in-hospital (non-independent) birthing center is the most supportive hospital setting for completing a natural labor (you go through labor and give birth in the same room). In some hospitals, midwives can deliver babies in the delivery room. What you get: A compromise between hospital safety and a midwife's natural, personalized approach; in-hospital birthing centers are a good option for women in the 16 states that do not have any AABC-licensed independent birth centers. What you give up: You'll likely be at least temporarily hooked up to an IV and an electronic fetal monitor, and you will have to follow hospital rules about eating and drinking and the number of other people allowed in the room. What you need to know: Prepare by taking a natural-birth class, such as Bradley or HypnoBirthing, and make sure your little corner of the hospital is as conducive as possible to staying drug- and intervention-free. Have your partner or doula practice running interference with doctors for you. "I wanted to go natural, but I ruled out home birth pretty quickly, since I'm just not that big a risk taker. I looked into a birthing center, but I was nervous about having to leave after 24 hours, and I also have a medical condition that required an M.D. to oversee my birth. So I found an OB practice that was supportive of natural birth." —Debra, a stay-at-home mother of three in Lewisburg, Pa.
Who chooses it: Women who want a natural birth without precluding the possibility of medical interventions and anesthetics. What you get: The opportunity to try for a natural birth while being cared for by an obstetrician in the hospital. What you need to know: Find a doctor who is completely supportive or your birth plan, and grill him or her about induction, episiotomy and C-section rates. If you are uncomfortable with the answers this doctor gives, find a different one, even if you're halfway through your pregnancy. And don't forget that in a hospital, you will spend many more hours with nurses than with your doctor, so find out all the protocols and have your doctor call in specific instructions to override them if possible. For example, your doctor will have to let the nursing staff know if you're allowed to eat during labor or have intermittent fetal monitoring. "I think women are prouder when they have natural childbirth; it's a nice accomplishment. It's like, hello, this is the closest to nature we get; it really is our core essence." —Laurie, a tutor and mother of two in Brooklyn, N.Y.
Who chooses it: Women for whom controlling their physiology is more important than controlling the experience; the most mainstream of all options. What you get: The opportunity to regulate the level of pain and to move along a labor that won't get started or is taking too long to progress. What you give up: The opportunity to experience a natural childbirth. In exchange for pain relief and the ability to speed labor, you will be subject to a steady stream of medical interventions. The drugs used are not without possible side effects, and small amounts may reach your baby. What you need to know: New research shows that with modern techniques and drugs, epidurals given early in labor are no more likely to result in a C-section, forceps or vacuum delivery than late epidurals and may in fact speed labor because the mother is more relaxed. "With my first child, I had an emergency C-section after 13 hours of labor, and I felt so guilty and depressed that I couldn't have a vaginal birth. When I had my second child, I didn't want to go through a long labor only to wind up having an emergency C-section again. So I went in for a planned C-section. It was so easy, it was like the reward for the difficulty of the first one." —Kara (not her real name), A stay-at-home mother of two in Portland, Ore.
Who chooses it: Women whose doctor is concerned about complications such as multiples, a baby in a breech position or placenta previa, or women who've had a previous C-section and thus face a small potential risk for uterine rupture if they attempt a subsequent vaginal birth (VBAC). What you get: Control over a situation that might have otherwise jeopardized your or your baby's health; the time, date and amount of pain experienced during delivery; and the ability to plan for a C-section rather than having to undergo one at a moment's notice. What you give up: The idea of a natural, exciting start to labor. Also, breastfeeding and cuddling may be delayed for a few hours while you recover from surgery. What you need to know: A 2004 study in The New England Journal of Medicine found that uterine ruptures occurred in less than 1 percent of VBACs. Having labor induced increases rupture risk, as does forceps- or vacuum-assisted delivery. C-sections pose an increased likelihood of infection, bleeding and risks to the baby. Who chooses it: Women who want to avoid the pain and possible complications of labor and vaginal delivery. What you get: Control over your delivery date and avoidance of having a C-section after hours of laboring in vain. Some research indicates that women who've not given birth vaginally have a lower risk of pelvic-floor problems later in life. What you give up: You may be subjected to criticism from friends, family and others who see this as a controversial choice. What you need to know: Elective C-sections involve fewer complications and an easier recovery than C-sections after attempted vaginal birth. Since each surgery leaves the uterus more prone to rupture, elective C-sections should be performed only on women who plan to have no more than two children. For more on choosing what's best for you, see "10 Tips for the Most Satisfying Birth Possible"
Marisa Cohen is a Fit Pregnancy contributing editor and mom to Bellamy, whose birth took 21 hours, and Molly, who was almost born in a taxi.